But how does this relationship work, and how can a shipping company help customs brokers save money? If a client wants their cargo to reach its destination without too much fuss, they hire someone who knows how to navigate the complicated landscape of imports and exports. They hire, in other words, a customs broker. Customs brokers arrange for shipping, meet with customs agents to make sure that the items are inspected without issue, pay duties, and pick up the item for delivery. They even arrange for transportation to get the item delivered. They keep up with the latest rules and regulations and monitor the cargo under their care as it traverses the process of customs. There are, however, a lot of job-related expenses for a customs broker, both in time and money. So how can you save money as a customs broker, pass those savings on to clients, and make a profit? The answer is that you tap into the services of other professionals. Just as a client is hiring a customs broker to manage their cargo, a customs broker can use warehouse, transportation, and delivery services that they trust. Building long-term relationships with capable and efficient service providers make a huge difference, saving both trouble and cost. This sort of arrangement benefits everyone: the service provider gets a steady stream of business from the customs broker, and the customs broker can negotiate a lower “wholesale” price for a set of services that they need. The client, of course, feels this lower price too. Everyone wins when professionals put their expertise together. Though this meeting of the minds helps at all stages of the importing and exporting process, it is especially helpful during shipping. Getting the cargo to its destination can be very complicated; delays in transit, problems with customs due to packaging, and communication problems make up many of the money-eating troubles that a customs broker will face. You can avoid these troubles by building a relationship with experienced, trustworthy shippers who know how to manage these hurdles. And, when shipping arrangements are taken care of, a customs broker can focus their energies on what they do best – making sure that the cargo gets through customs. Again, everyone wins. For customs brokers in the Caribbean and South America, partnering with Bontrade can save money, reduce delays, and improve their profit margins. 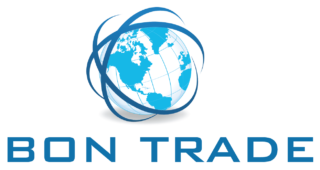 Based in Miami, Bontrade is an experienced shipping company with a wide network of carriers. This network allows us to offer efficient transit and competitive bulk shipping rates for a variety of cargo, including vehicles. Bontrade also has negotiated rates with FedEx, reducing the price of deliveries and US transport. Bontrade offers consistent transportation times, reduced transportation-related expenses, and lower risks of delays. As an experienced shipper, Bontrade also makes sure that the item is properly packaged and shipped, reducing delays at customs and potential damage to the cargo in transit. All of this translates to happier clients and better profit margins for customs brokers. Contact Bontrade today and see how you can benefit from this partnership. Submit the details about your shipment and receive a Free Quote. previousPolicies pertaining to container loading of vehicles.